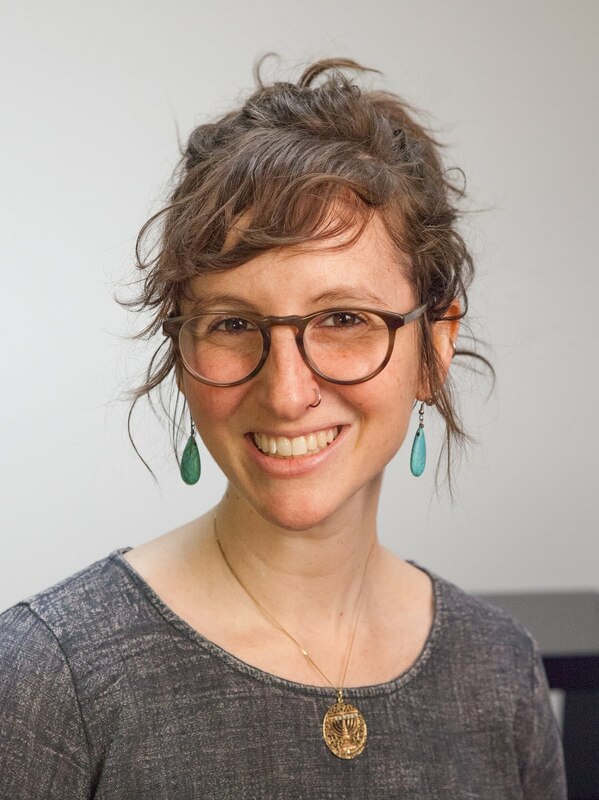 The Hadassah Foundation has awarded the 2017 Bernice S. Tannenbaum Prize to Stephanie Goldfarb, program director for youth philanthropy and leadership at the Jewish United Fund/Jewish Federation of Metropolitan Chicago. The Bernice S. Tannenbaum Prize recognizes emerging professionals who have made innovative contributions to advance the status of women and girls in Israel and the United States. Awardees demonstrate a high degree of talent, commitment, and accomplishment in their work. The prize honors Bernice S. Tannenbaum, z''l, for her lifetime of service to the Jewish People; the State of Israel; and Hadassah, the Women's Zionist Organization of America. Goldfarb, pictured above, was awarded the prize for her work with the JUF's programs for Chicago-area youth. During her seven years at the JUF, she has expanded a philanthropy program for Jewish teens that awards more than $50,000 annually to local nonprofits, and brought an innovative feminist-research training internship program for Jewish girls to the Chicago region. 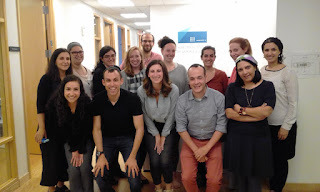 That latter program, the Research Training Internship program, has received funding from the Hadassah Foundation. 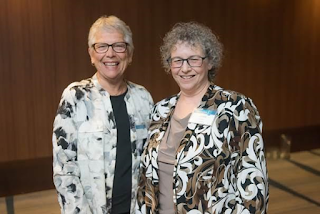 "As the newest Bernice S. Tannenbaum Prize winner, I not only feel a sense of unity with the women who recognized my commitment to social change for Jewish women and girls, I also feel as though I have an army of forward-thinking sisters behind me, pushing me to continue growing personally and professionally," said Goldfarb. 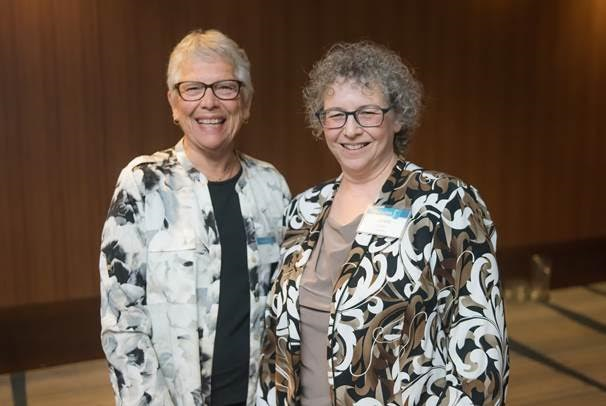 "Stephanie Goldfarb is a talented, charismatic, educator, filled with talent and passion," said Julie Morris, chair of the Foundation. "Bernice Tannenbaum would be so proud of the Foundation's selection." The Prize provides $500 in general operating support to the JUF, as well as $2,500 to further Goldfarb's professional development. In addition to her work for the JUF, Goldfarb serves as a resource to other community organizations serving teens. She has run "philanthropy boot camps" at summer camps and for BBYO programs serving Jewish youth, "taste of philanthropy" programs at congregations, and provided trainings for other Jewish professionals about philanthropy, LGBTQ issues, and experiential Jewish education. She has also run programs on Jewish cooking, which takes advantage of her experience as an award-winning chef who has appeared on multiple Food Network shows. Goldfarb received her bachelor's degree from Arizona State University in Women's and Gender Studies, with a Certificate in LGBT Studies, earned two masters degrees from Loyola University Chicago (in Clinical Social Work and Gender Studies), and a Certificate in Experiential Jewish Education from Yeshiva University. 2017 #Slingshot Fund Guide Highlights our Grantees! The Guide highlights the most innovative organizations in the Jewish community. This year, in addition to producing a national guide, they created guides highlighting innovation in the Los Angeles and Bay Area. The Hadassah Foundation supports the JCC Chicago's Project Teen--Seed 613, a social-entrepreneurship program for Jewish teen girls. 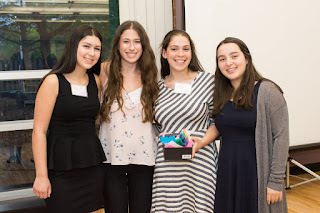 The JCC Chicago had a successful track record running a social-entrepreneurship program for adults, and with the help of the Foundation, adopted the program to the needs of teen girls. Working in small groups, the girls developed projects that have a social benefit, which were formally unveiled at an event--Launch Night--open to the community at large. Spencer Rule, above right, along with other teens in the program on Launch Night, describes how this program has impacted her. My name is Spencer Rule and I was recently a member of the pilot cohort of Project Teen-Seed613, a new, teen social entrepreneurship program of JCC Chicago, grant funded by The Hadassah Foundation. I was born and raised in Chicago, and am currently a senior at Lane Tech High School in Chicago. This fall, I will be attending Babson College in Massachusetts, the number one school for entrepreneurship. I was introduced to Project Teen-Seed613 by the club sponsor of Jewish Student Connection, Julie Minor. In October, I was accepted into the program and began attending monthly seminars in January. I immediately had a connection with the eleven other girls in the cohort. The program was split into three groups based upon interests. I chose the group that focused on "women's initiatives," and worked alongside three other girls. One of the most enjoyable moments in the program was finally deciding on the product we wanted to create. We had been sitting around a table in the JCC, bouncing ideas off each other, when we had an epiphany. Our group came up with a product called You Flow G12L, a monthly subscription box to empower young women and stop the stigma against periods. The box would include tampons, pads, an educational component about how to live a healthy life, and a small gift. For every box bought, another box would be donated to women and teenagers who do not have access to the feminine care products they need. I enjoyed the program so much because I was able to collaborate with other girls with shared interests in business and entrepreneurship and that really inspired me. I had never been a part of something like that and it was truly incredible. The cohort acted as a platform for me to really experience social entrepreneurship for the first time. In creating our product, I was able to learn about different business design theories, how to research the feasibility of a business, how to market for a business, and so much more. Most importantly, I was able to create the foundations of a potential business while simultaneously making lifelong friendships. It was incredibly fun but also a lot of work. I expected there to be a lot of work, but at the same time I learned about so many things that entrepreneurs must do that I never realized existed or were so important. My group and I pitched our idea at a Launch Night on May 23rd at the JCC surrounded by friends, family, and community members. I am still impressed by how feasible and real this program is; we even received a business card from one of the community members who attended the event who was interested in our idea. I am so thankful for this experience because I think it was a vital component of my path to becoming an entrepreneur. I am so excited to be able to use this experience as a starting point for my time at Babson and as a future entrepreneur. My time in Project Teen-Seed613 has given me a lot of new confidence and knowledge about entrepreneurship that I would never have had otherwise. The Hadassah Foundation has just announced its RFP for Israeli organizations working to empower low-income Israeli women. We are interested in social change, gender-sensitive projects that help low-income women of all backgrounds in Israel achieve economic independence. Grants of up to $25,000 will be awarded. The Foundation is particularly interested in programs that provide cutting-edge approaches to solve problems that have not been addressed previously. All applications are due by 11:59 AM (ET) Thursday, July 27th.